ZTE is also joining the growing number and will soon be selling its first 18:9 aspect ratio display smartphone. The new model is named Blade V9. The color choices for the phone are black and gold. 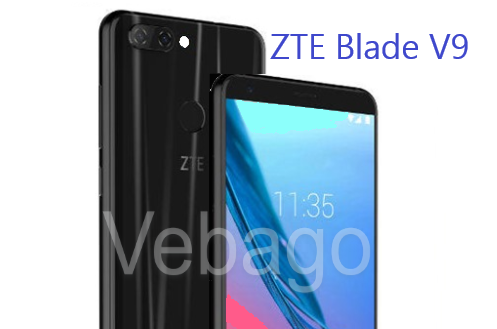 Pictures and information about the phone have already appeared on ZTE's Spanish website. The Blade V9 is a successor to the previous Blade V8, which was launched at CES 2017. The ZTE Blade V9 packs a 5.7-inch display with a resolution of 2160 × 1080 pixels. There is a fingerprint reader on the back. The Blade V9 has two cameras behind it. The 16-megapixel primary camera with f/1.8 aperture and a 5-megapixel camera. The front camera has 13 megapixels. There are three variants: 2GB of RAM and 16GB of storage, 3GB of RAM + 32GB of ROM and finally top 4GB of RAM and 64GB of ROM. The expansion slot is available but features with a Hybrid SIM slot. The device runs on Android Oreo operating system version. The Blade V9 has a 3,200mAh battery, Micro-USB and 3.5mm jack. The phone's dimensions are 151.4 x 70.6 x 7.5 mm and weigh 140 grams. The smartphone is powered by a 1.8GHz octa-core Snapdragon 450 processor. For connectivity, there is 4G LTE, microUSB, WiFi, Bluetooth, GPS, and NFC. The Blade V9 device is likely to launch in January, at the CES fair, which starts in Las Vegas.